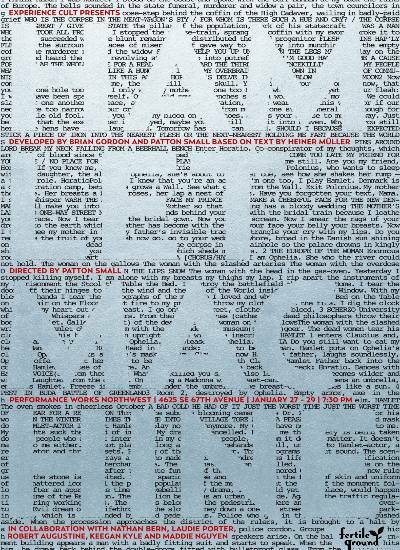 This devised adaptation of Heiner Müller's Hamletmachine explores social change and our individual roles within it. The piece aims to bring audience members to an active experience of the concepts discussed in Müller's text while leaving the need for cognitive understanding behind. Through the use of physical theatre, this performance brings to life Müller's postmodern masterpiece in a new and creative framing which places chance at the forefront. Hamletmachine will expose audience members to a series of engaging non-narrative stagings in a randomized sequence creating a truly unique performance each evening.